In 1803 John Garrett of Christian Hundred, Delaware bought 300A of land in the Wild West–OHIO–for $1,313 (about $4.38 per acre). A year later, he and his family–wife, children, two slave girls–and Abraham Dyson, a blacksmith, arrived at his property in the southwest corner of Nelson township in the Connecticut Western Reserve in the new state of Ohio, finding a fine stream that could be harnessed to provide power for a gristmill. So…he began to build. With a grist mill to grind farmers’ grain and a blacksmith to make and repair hardware, John Garrett’s little settlement was the place to go. 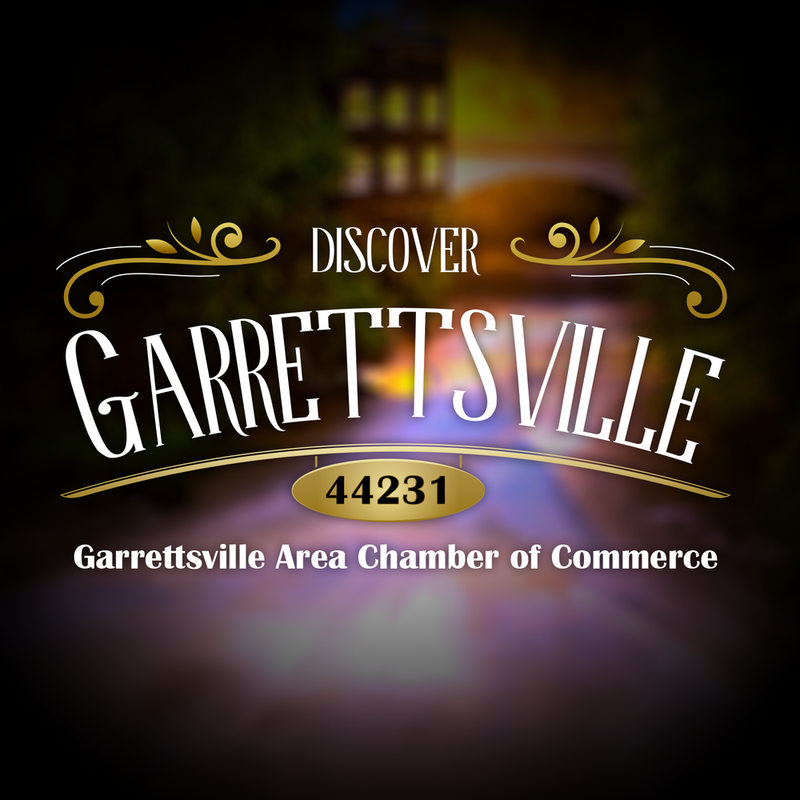 If there were people coming there, it would be a fine place to establish a store…so somebody did…and somebody else did…and pretty soon Garrett’s Mill or Garrettsville was on its way to becoming a town. The first big commercial enterprise to make its mark in the little town was the production of maple syrup taken from the hardwood forests that covered much of northeast Ohio. Around 1849, more than fifty thousand gallons of the sweet stuff were shipped from the area. One company that was founded to carry on this business was the Crane Company. Later, it became the Crane Candy Company because it moved beyond just springtime activity–that’s when maple syrup and maple sugar and maple candy are made, since that’s when the maple sap is rising–to year-round sales. The Crane Candy Company grew and prospered but they continued to look for a new candy product to produce in the summer. They could not make chocolates then because there was no refrigeration and no air conditioning…chocolate would melt. One salesman who had been on an ocean cruise, thought that a peppermint in the shape of a life preserver–with a hole in the middle–would be popular. The candy was not difficult to make; they originally made it using a pill machine. The difficulty came in finding a packaging that would keep the candies from sticking together. Waxed paper and aluminum foil solved the problem, and still do. The first flavor that the Life Saver came in was Pep-O-Mint. The other great advance marked by the Crane Company’s Life Saver was the placement near the cash register. Each roll cost a nickel and it was easy for customers to spot the Life Saver display and take his or her change–for the kiddies, you know–in the little novelty candies. It was a long way from the maple syrup days! In 1864, the people who lived near Garrett’s Mill organized themselves into a real town, the Village of Garrettsville. Now they could elect a mayor, hire a constable, fix the streets, which were often pretty muddy. Now they had a real charter from the State of Ohio; they were incorporated! They also organized their first volunteer fire department. No fire trucks yet, but lots of buckets be handed up from the creek. Our present fire department is very proud of their one hundred and forty-four year history and of their antique fire engine, which was originally pulled by horses…or maybe by the volunteers. A growing town needed a good school, so one was built on Park Avenue. It was known as the Union School because it combined all of the pupils from the one-room schools in the area. Later, in 1889, a high school was built there too. Still later, in 1939, the newer building was removed and replaced by the brick building that is the present Intermediate School; it was attached to the 1869 structure. Finally, the very oldest part was removed in 1969 when the new elementary school was built and older buildings in the system were remodeled. In 1951, consolidation came to the schools; Nelson Twp and Freedom Twp students came to Garrettsville as members of the new James A. Garfield Local School District. The “new” high school saw its first graduating class in 1956 and has been added to when necessary over the years, most recently in 2000. Other things were happening in the new village as well. There were factories, stores, newspapers, all kinds of businesses. They were boosted by the arrival of the railroad in 1855. Early 1900’s saw the Polson Rubber Company bring jobs to the area. The Methodist Church arrived in 1878. The Baptist Church was blown up by a disgruntled moon-shiner in 1881. The streets were paved in 1886. Electricity came in 1887. The Opera House was built in 1889; it was the city hall and public auditorium, later the movie theatre too (It later fell upon hard times and was condemned in 1955, razed in 1964. Its only remnant is the clock in the present clock tower). Garrettsville got a public water system in 1907; the department recently celebrated its one hundredth birthday! On the village’s 120th birthday (1924) a time capsule was placed near the Opera House at the corner of High St. and Maple Ave., to be opened in 2024. Garrettsville was in the national news in 1935 when the Al Karpis Gang robbed the train stopped at the Erie Railroad station and got away with $46,000. The FBI later captured the crooks and some people believe that the local school district teams got their nickname, “G-Men”, because of the “Government Men”–“G-Men”–who were in town investigating the crime. In 1976, along with many other communities across the country, Garrettsville celebrated the bicentennial of the United States of America. To do this, village residents reached back into their own history and decided to build a clock tower on the site of the long-gone Opera House, using the clock from the original building (It had been saved by the man who used to climb up into the Opera House tower once a week to wind the timepiece). There were fund-raising activities, clean-ups, excitement all over town. A crowd gathered to watch a crane place the roof on one sunny afternoon and another larger one came to the dedication ceremony. It’s a landmark now, striking the hours and lighting up at night. Among its favorite sons–no daughters yet–Garrettsville counts the poet Hart Crane, of the candy family, and Allyn Vine, an oceanographer working out of Woods Hole, Massachusetts. Crane was born in Garrettsville in 1899, grew up in the village and in Cleveland, then left for the big city–New York. His most famous poem is one titled, “The Bridge”, which some think was influenced by the bridges he knew in Garrettsville, though its actual subject was the Brooklyn Bridge. Allyn Vine was the inventor of the first successful mini-submarine, the Alvin, which has changed undersea exploration and research all over the world…not to mention the movie, “Titanic”. The tender-ship which is tethered to the mini-sub during dives for security and communication purposes is named “Lulu” after his mother. Finally, Garrettsville celebrated its own bicentennial in 2004 with celebrations and ceremonies and plans for the future. The village is looking forward to another one hundred years of change and growth. Work is underway, based on a request from Ellen at The Village Bookstore for a book about Garrettsville, its history and local culture. Interested in contributing to this upcoming book? Search your minds, search your photo albums. Let’s see what kind of a tale we can come up with. Let us hear from you — you can email to history@weeklyvillager.com or stop in and drop off your submissions at the Villager or The Village Bookstore.